Hot pink to reddish zebra print on this Gerbera daisy flower already attached to an alligator clip. The center has a sparkling white gem 7/8' wide. 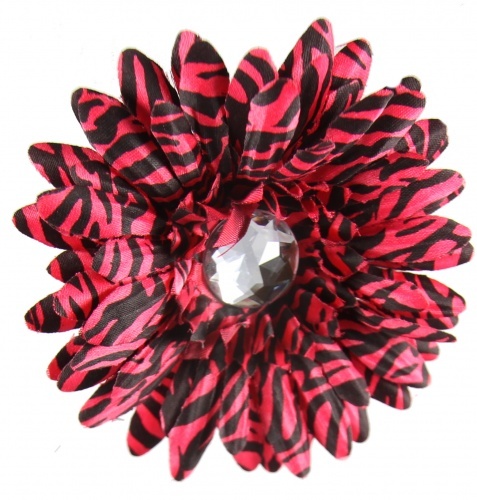 This flower is ready to go and she will love this fun hot pink to reddish zebra print. Wear it alone and slide it into any headband, beanie hat, or bow to give them a flare.